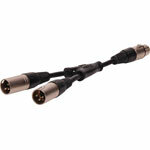 3 pin XLR female to dual 3 pin XLR male plugs. 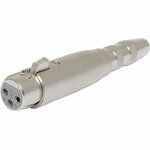 Ideal for feeding one signal into two amplifiers. 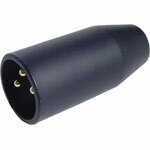 Heavy duty 4 pin plug as used on professional amplifiers and speaker boxes. 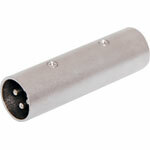 Handles up to 30A current. 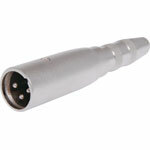 Ideal for extending leads. 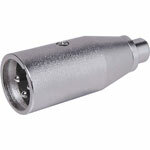 TRS 6.35mm jack plug to XLR 3 pin female. 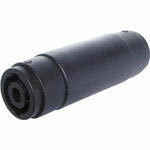 Suitable for balanced signals. 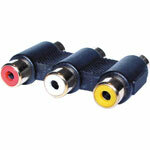 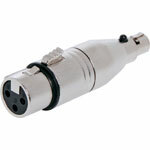 3 Pin XLR Female to 6.35mm Mono Plug Adaptor. 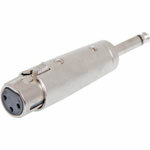 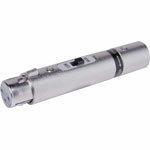 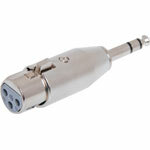 Accepts a female mini 3 pin XLR, allowing it to plug into a full size standard female 3 pin XLR. 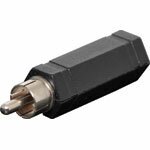 Includes transformer for switching between 50kohm high impedance and 600ohm low impedance. 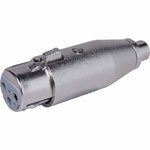 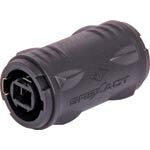 Accepts a female mini 3 pin XLR, allowing it to plug into a full size standard male 3 pin XLR.